Fabinho has personally quashed speculation from earlier this season linking him with a move to Paris Saint-Germain. The Liverpool star emerged as a reported target for the French champions amid a slow start to life at Anfield following his summer move from Monaco. Jurgen Klopp had opted to ease the midfielder into a significant change in intensity upon his arrival, with the Brazilian not featuring in the Reds’ opening eight Premier League games of the season. 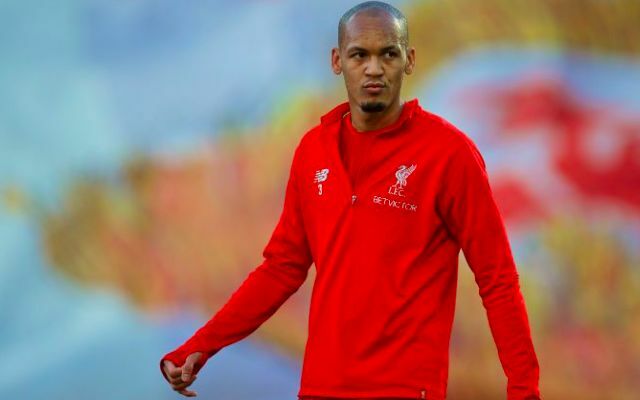 Rumours tying Fabinho to a potential loan switch to the Parc des Princes conveniently came to light just prior to November’s Champions League group stage meeting between the two sides. Klopp himself also dismissed all talk of an early exit at the time as he continued helping Fabinho adapt to a new system. The £44million man has since grown to become a key figure on Merseyside, starting and playing 90 minutes in nine of the last 14 league outings. He has underlined his versatility, in particular, over the past week by featuring as a make-shift centre-back in the FA Cup defeat to Wolves and the league win over Brighton amid the club’s defensive injury woes. Liverpool’s no.3 is here for the long haul.